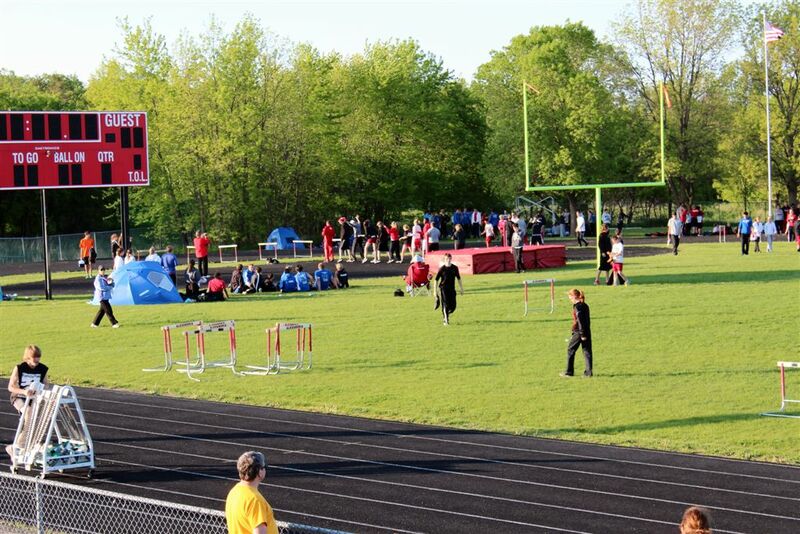 ← Cards Only Win by 10? 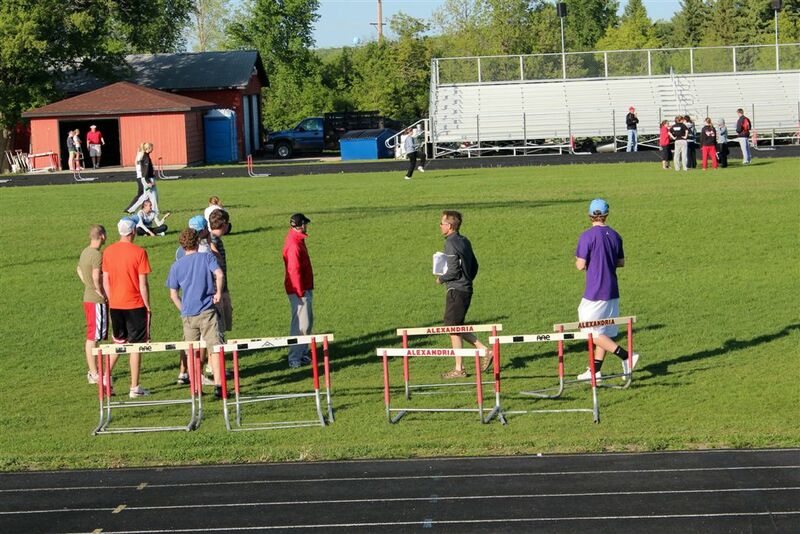 Time for the annual report from track and field. 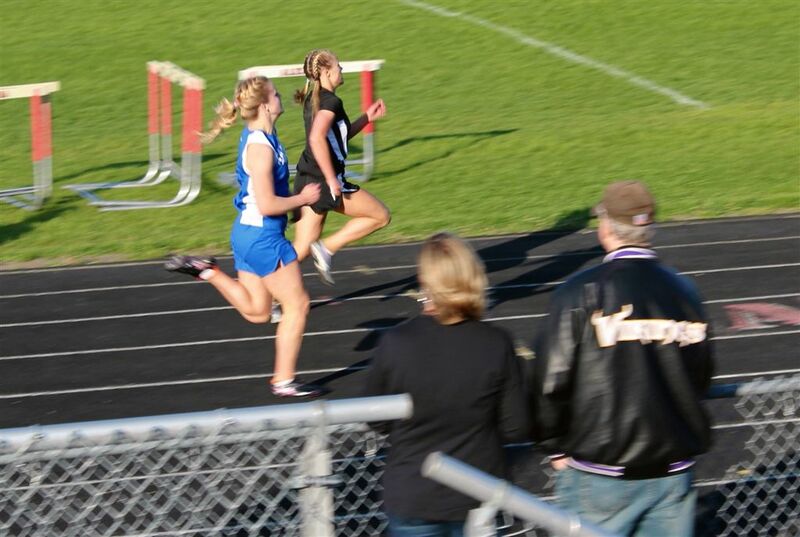 I had certain events in mind as I sped from the softball game back to the high school [see previous post] for a tri-meet with Sartell and Willmar. 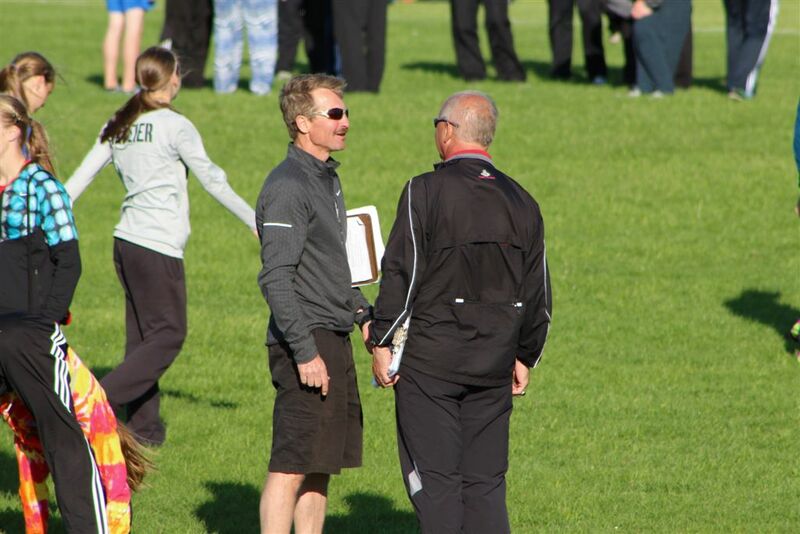 I had checked with running coach Mark Nelsen to get starting times and realized I could stay for the entire softball game and still catch Jamie Piepenburg (above) in the 800 and Megan Hasz in the 3,200 – and throw in some of our hockey girls, Shanee’ Herd and Melissa Drown, in their events, and possibly Jamie in the 4 x 400 relay. 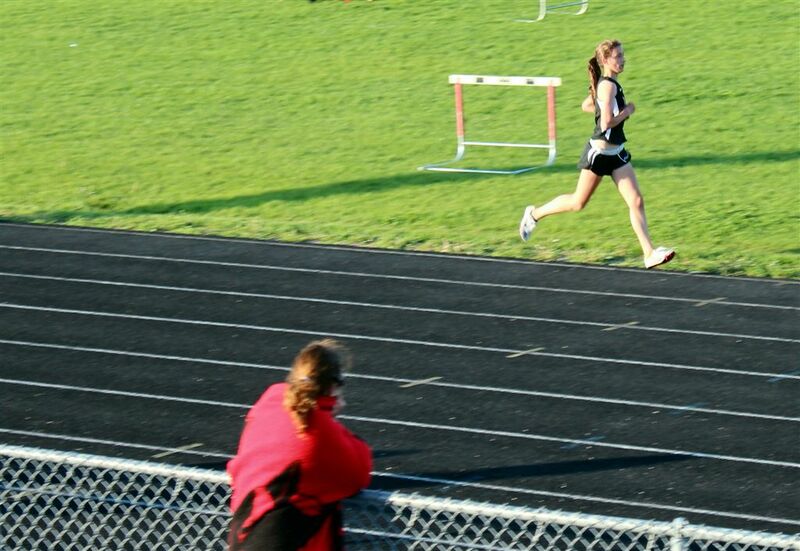 I knew I would miss Bethany Hasz in the 1,600. 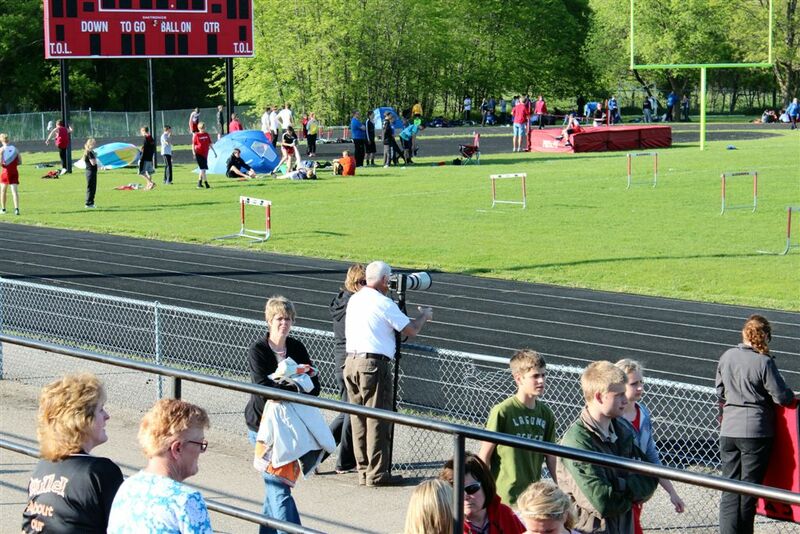 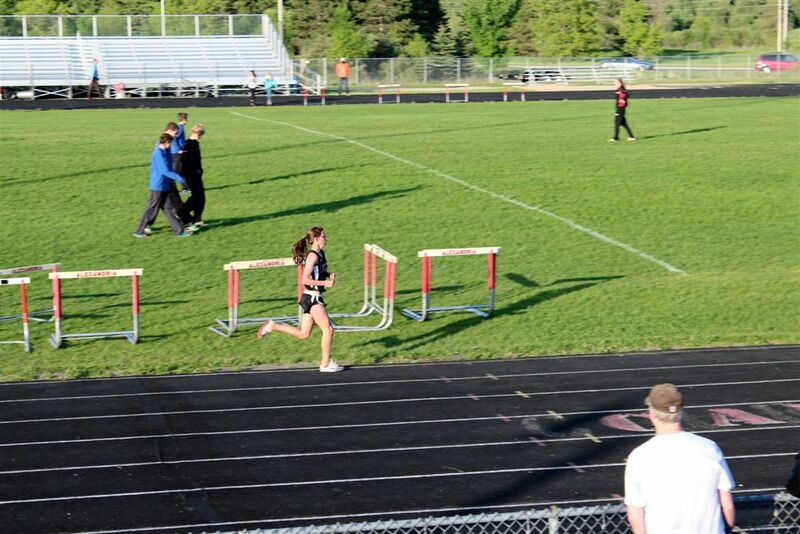 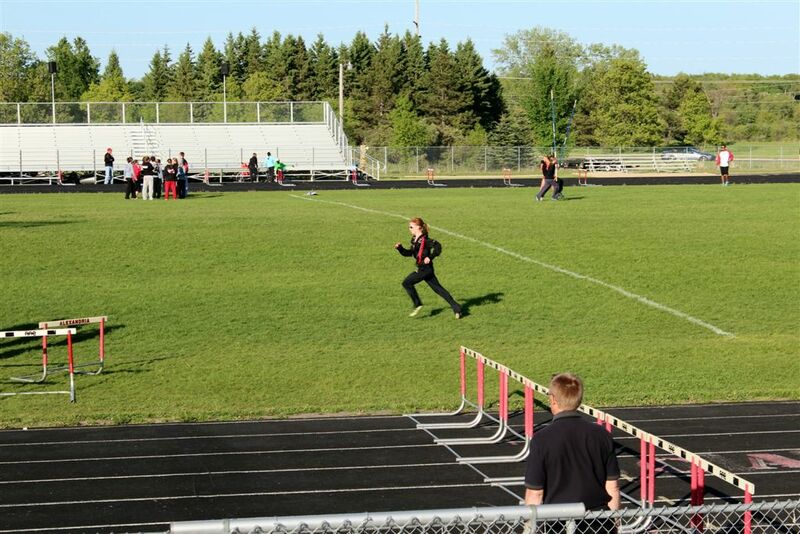 This was Jamie’s last home meet before heading off to the U on a track scholarship. 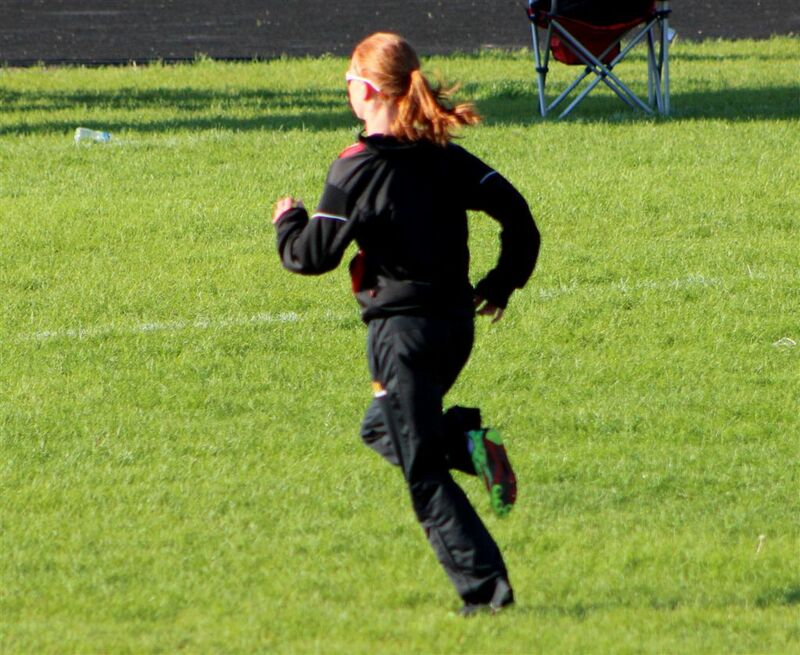 She holds the school record for both the 1,600 and the 3,200 (she has won state in both), and generally just runs the 800 for speed work. 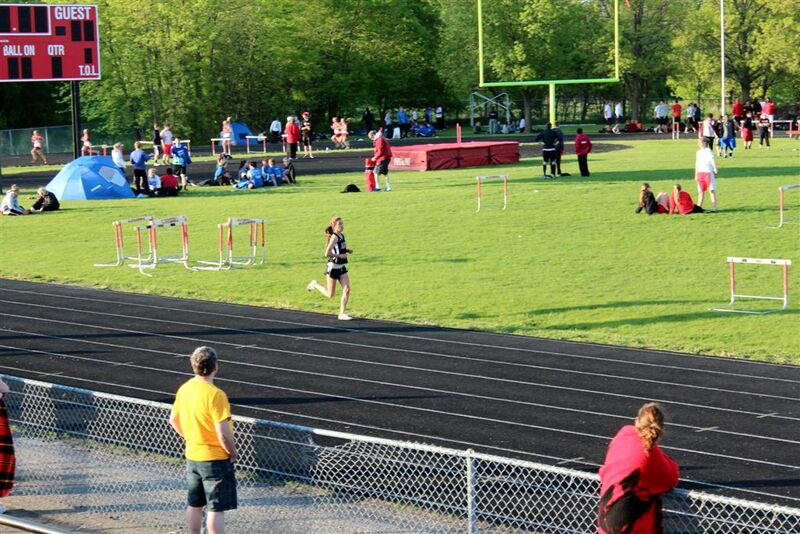 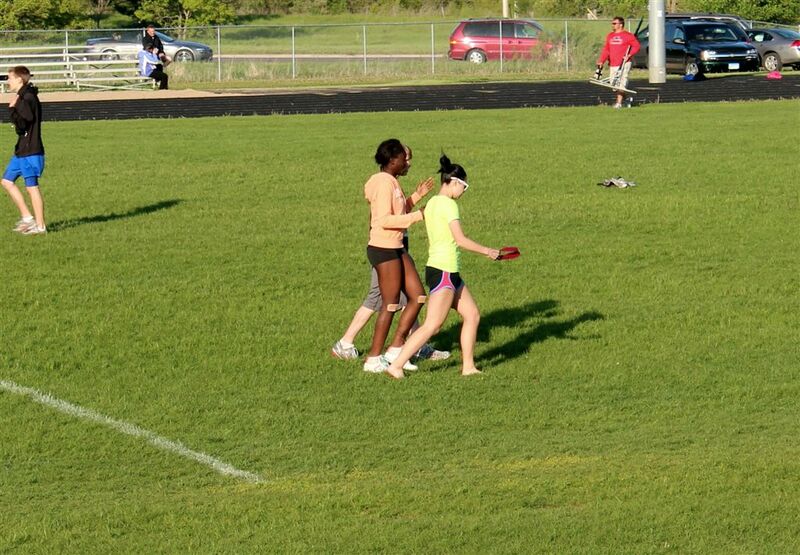 But she hoped to get the school record in the 800 as well. 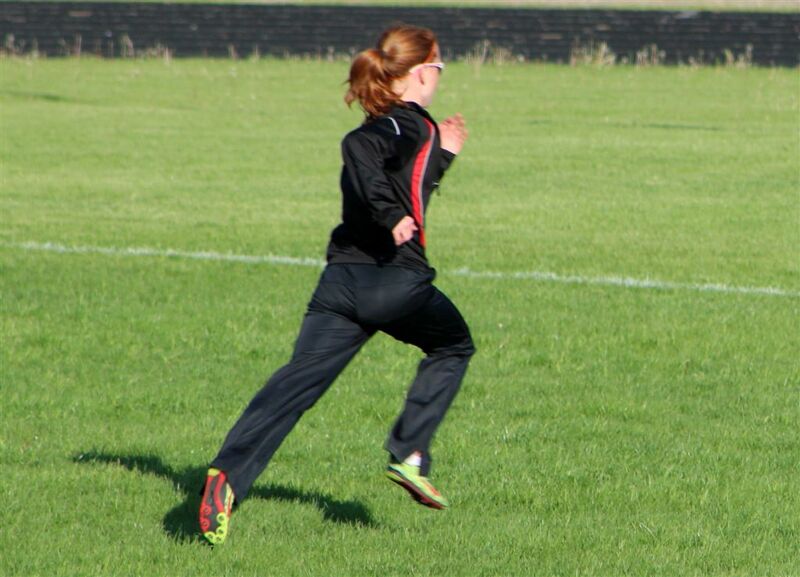 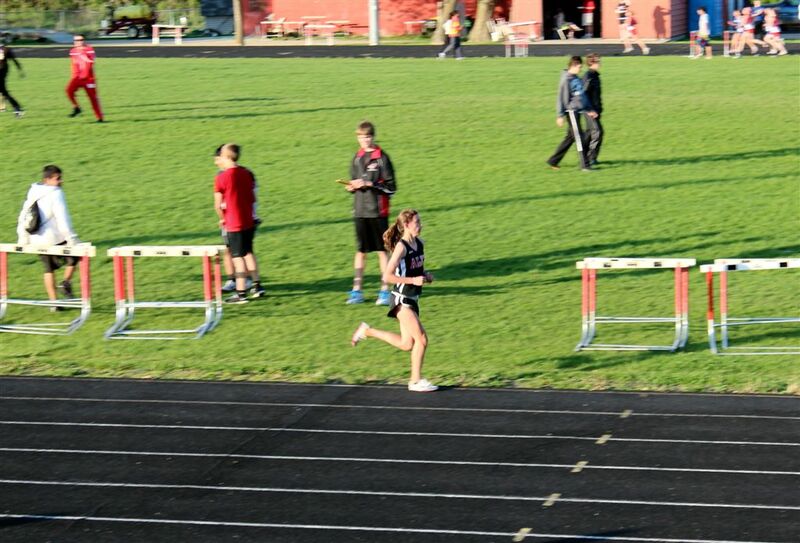 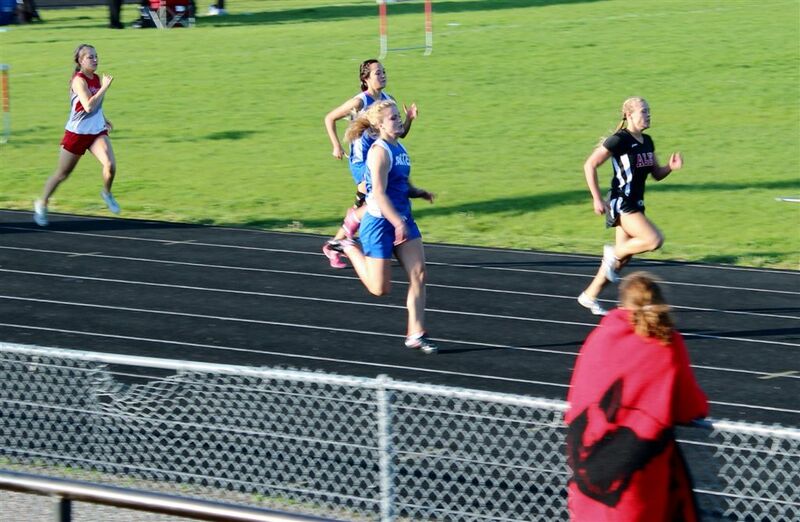 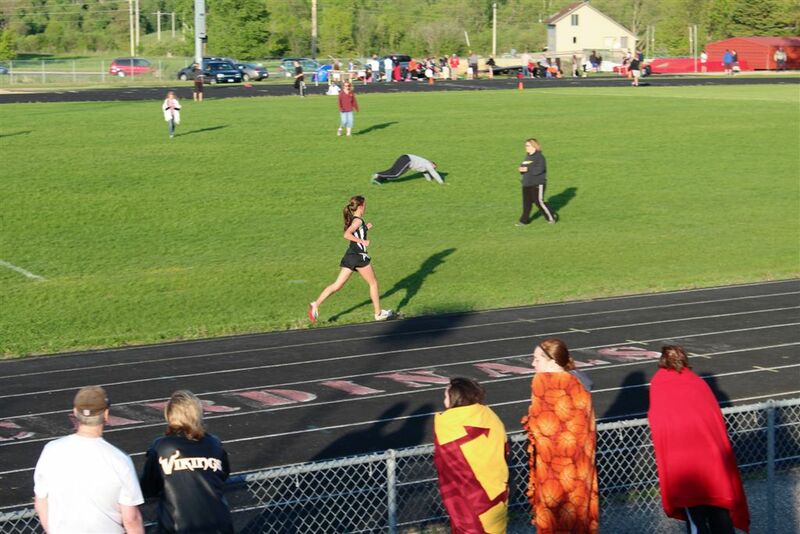 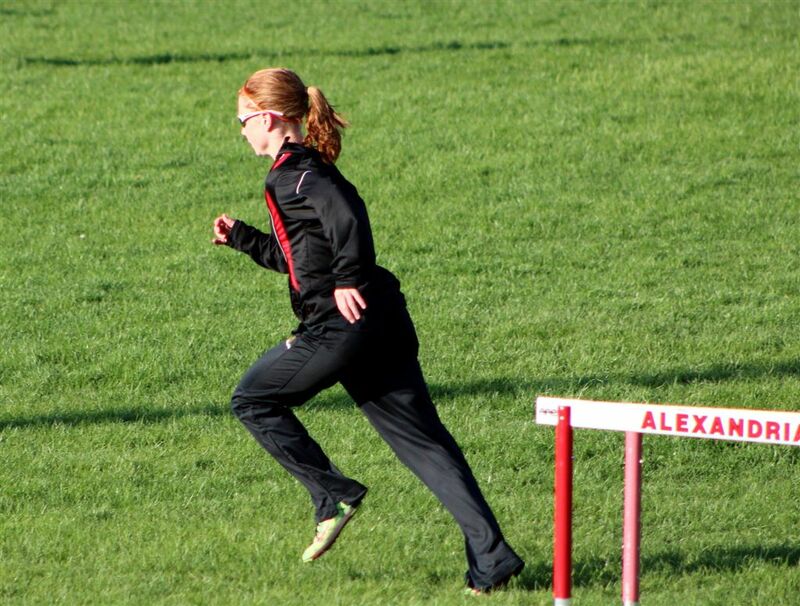 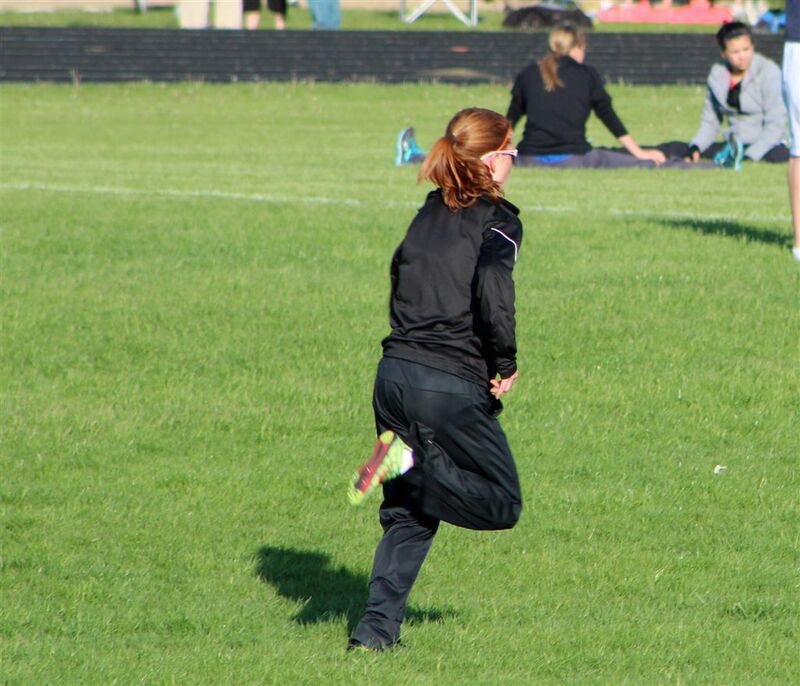 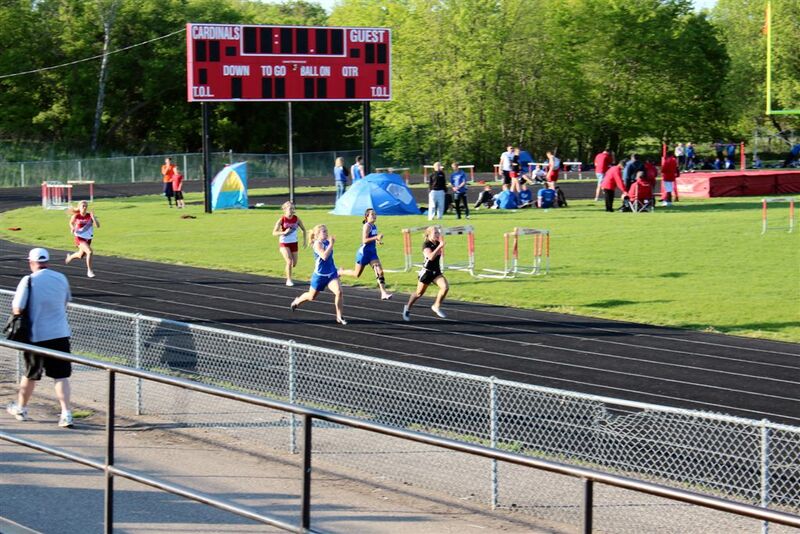 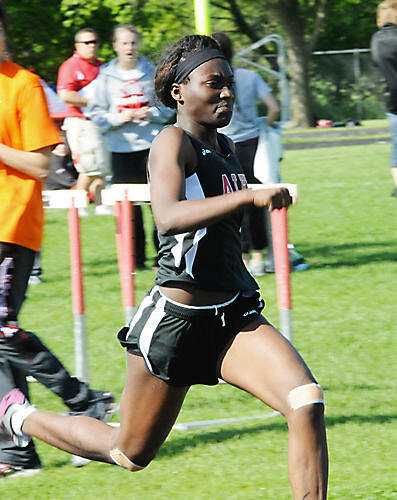 She gave it a good shot – setting a personal best – 2:17:39, but missing the school record by about a second. 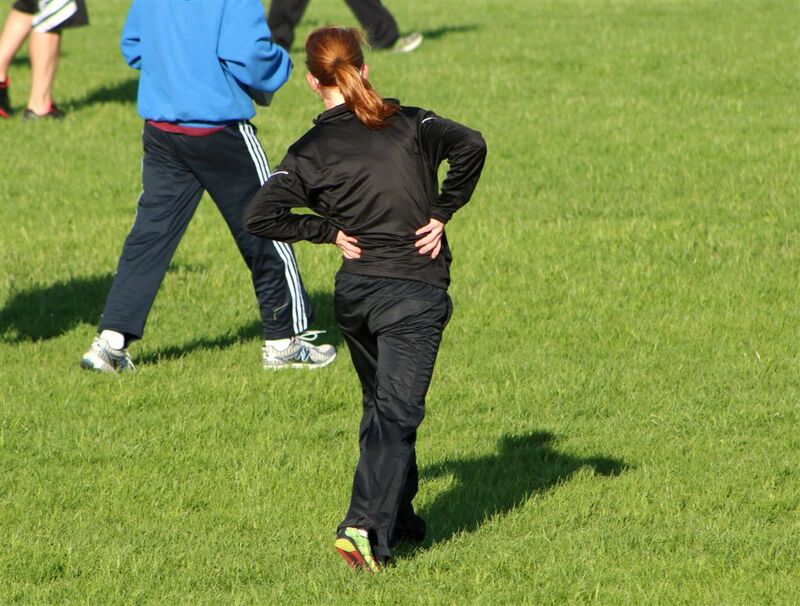 It was not a good day for record attempts as you can hear on the following video of her race, it was a tad too breezy! !